Leeds United could be set to welcome James Milner back to Elland Road if they achieve promotion to the Premier League this season. The Peacocks currently sit first place in the Championship standings but have work to do after suffering three consecutive defeats in all competitions, with another tough test on the horizon against Derby County this weekend. 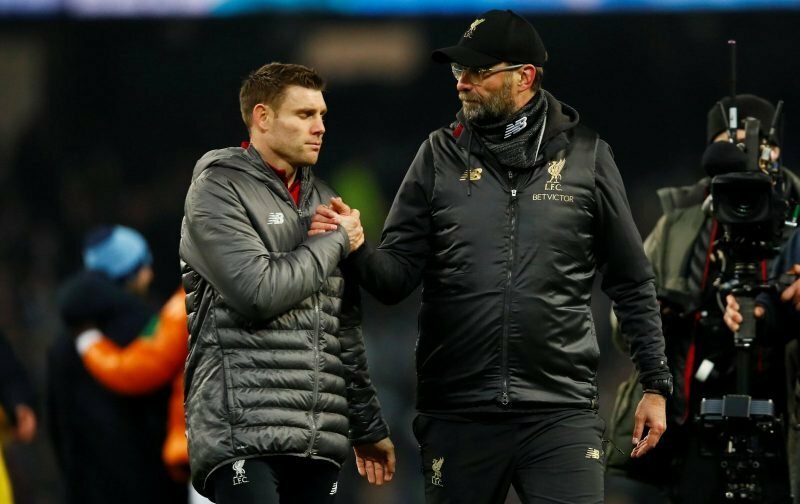 However, the form under Marcelo Bielsa has been solid and Leeds are in the hunt for a return to the top-flight for the first time since their relegation in 2004 – and The Daily Star, via The Birmingham Mail, states Milner is keen on returning to his boyhood club if they achieve that feat. Milner, now 33, rose through the youth ranks at Leeds but left after the club’s relegation to join Newcastle United – with a £3.6m transfer fee helping to boost the finances of a club that had encountered a number of problems behind the scenes. Capped 61 times by England, the versatile midfielder then moved to Aston Villa before joining Manchester City, where he won two Premier League titles, then joining current club Liverpool in 2014 on a free transfer.